April 12 – 13 -Following three sold-out shows in a row, Braden Carlisle continues to curate the best magic. 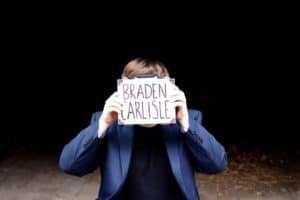 With styles ranging from mentalism to comedy, Braden will leave you laughing harder than you thought possible at a magic show! As a lover of all things magic, Braden is also a published author of the magic theory book “Agree to Disagree” and hosts a weekly magic podcast titled “Awesome People Talking”. He will be joined by two other performers for these shows.